You’ve probably heard that the Latin Alternative Music Conference (LAMC) is back this year, featuring talent-packed Latin alternative music showcases and industry insider panels. Unfortunately, for most mere mortals, you have to work! So you can’t necessarily rush to The Roosevelt Hotel to catch the action. 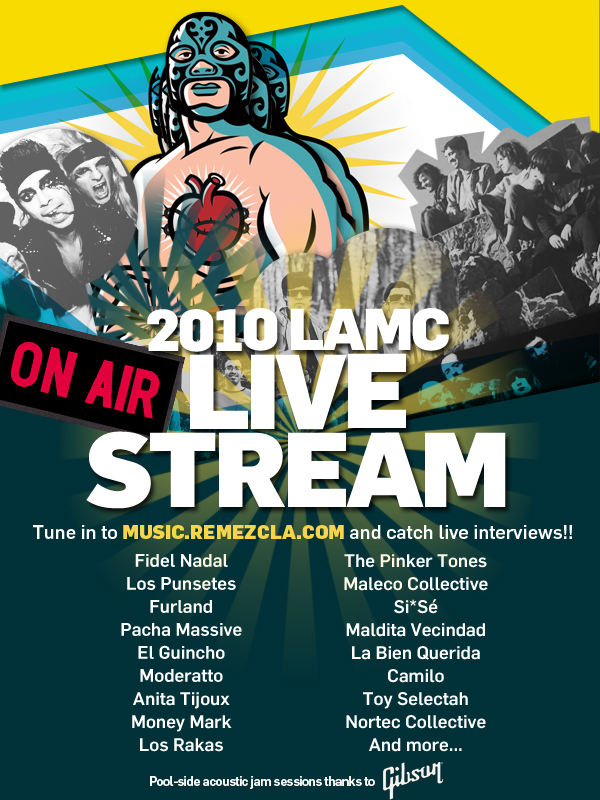 So we here at Remezcla will be streaming LIVE from the conference, doing on-air interviews with all the artists you love: Maldita Vecindad, Anita Tijoux, Jumbo, Los Rakas, Nortec Collective, Moderatto, y más, más, más! Join us on Thursday and Friday from the comfort of your own casa, office, cave, or general abode for our Remezcla Pool Party, complete with lawn chairs, palm trees, and a rock star or two. Also look for special pool-side performances and jam sessions with your favorite artists. Don’t miss Remezcla’s host Veronica Velasquez and Thursday’s special guests hosts: The Pinker Tones! See below for a full schedule and check back here to watch the stream. Have questions for the artists? Tweet or Facebook us and we’ll ask them on camera! 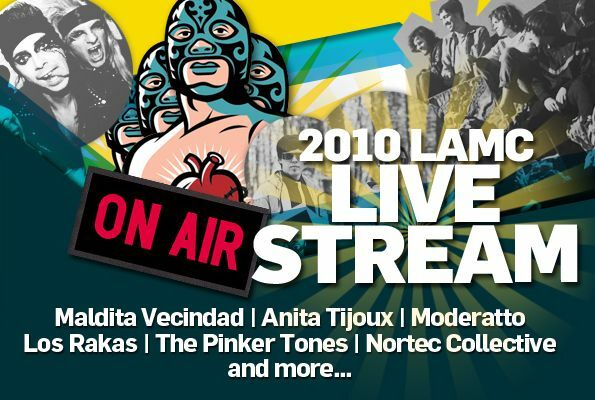 Also, check out our LAMC Playlist: 20+ Free Latin Music Downloads from the 2010 LAMC, chock-full of Manu Chao, Los Amigos Invisibles, Maldita Vecindad, and collaborations with Julieta Venegas, Rita Indiana, and Tom Tom Club. Download it now!